There’s been a joke for some time about the coming E-book Overlords, but it turns out the E-book Overlords are US. WE are the ones buying the ebooks, changing our minds about ereaders once we have them in our hands, rushing out to by Kindles by the millions per week. Because ebooks are cheaper (sometimes, and sometimes not), faster (instant gratification! ), and in many ways have a real advantage over paper books (disadvantages too, but the massive adoption is evidence of a net WIN in that war). Note, this advantage is for READERS, although there are many advantages for writers as well. In fact, with traditional publishers keeping their ebook prices high, they are actually increasing the exposure of self-published authors by ceding the low-priced ebook market to them. Over the last year, this has given rise to the self-publishing revolution (which has been getting lots of press lately), with self-published titles climbing the bestseller charts as readers chose this lower-priced option. Across the board, it is the advantage to READERS that has driven the change. The thing about REAL change is that it isn’t just self-sustaining (especially where technology is concerned). It is self-accelerating. And then there’s the things you didn’t know you needed until someone else has it. A month ago, I realized that I could gift e-books on Amazon! Right next to the “buy” link was a “give as gift” link – all I had to do was click that, provide an email address for the receiver, and off my e-book present went! Talk about last-minute shopping! And without the tarnish of just giving a gift card (I have a love/hate relationship with gift cards). But I don’t have a Kindle. My whole family (grandmas, grandpas, cousins, nieces, kids) – they all have Nooks. Why? Because I was an early adopter and if they got Nooks, they could LendMe ebooks. This value-add was enough to convert them to the Nook family. But Barnes&Noble sadly trails after Amazon in many e-book areas, and gifting was one of them. I went to my local B&N and complained to the poor Nook salesman, who looked beleaguered until I finally gave up. Then, just as I was about to despair for this Christmas (and perhaps not coincidentally after I’d already bought my paperbook gifts), Nook suddenly has e-book gifting capability! Free market. Creative Destruction. Free flow of information. These are the things that allow innovation to occur, and I believe we should embrace rather than fear it. Tommorrow, in my final post of 2011, I’ll talk about embracing this change and how to move forward into a brighter 2012. Great post. this has been my year of conversion too. i am even open to picture book ebooks now, though, not exclusively at all, of course! We must remain open and flexible to change! Change is inevitable, which can easily be seen by the stats. Always alot of advantages and disadvantages to most things though, as you say. I still love my books, but like I keep saying, Kindle/Nook is much lighter then the boxes of books in the attic and bookshelves. Plus, like you said, it is instant. I am so ashamed, a few years ago I was one of those people that would have been dead before using an EReader. *Sigh*, I am such a sellout. Great post. I've read 20 books on my Kindle this year. I've read a lot more in print. I love print books. Yes, the instant gratification of an ebook is nice and I enjoy my Kindle. But a Kindle doesn't feel like a book. I'm old school I guess. I say yay, eBook revolution. Keep it coming. I'm curious…it is possible for an e-book only publisher to do a live book tour to different spots, like a Starbucks and do kindlegraphing on the spot? Interesting. I like both. I did hop on the nook train, and I love it. But I also still love reading actual books and owning the real thing. If I love the book enough, I'll buy it on both. I know, crazy. the science of shriveling. 😀 Good one. We're a Kindle family, AND I just got an iPhone, and now I have the Kindle app on my phone. The only problem is it wears down the battery… still I LOVE having my books always at my fingertips. Another bonus of epubbing. I became a Kindle owner last year just before Christmas and I'm constantly reading. I learned to gift, I learned to loan books, and now I can go to the public library site and download books for the Kindle just like any other library book. The possibilities for e-reader uses in the future is mind boggling. @Catherine You are rockin' the ereader usage! Good for you! i have a very strong feeling (ok he told me- shh!) that my hubby got me an e-reader for christmas. and i'm both super excited and super scared. technology is not my best friend and i'm scared i won't even be able to figure out how to get the thing to work! and i love love love everything about paper books from the covers to the smell to collecting antique ones. it feels like betrayal! but there are so many good stories (or stories by good people that i would like to read and support) that are only coming out electronically… i think i'm just backwater about all this. but i'm sure hoping that all these happy encouraging e-reader posts are going to be right and i'll love my kindle! we'll see! I just got a Kindle Fire and love it. I can carry a ton of books with me and read what I want depending on my mood. I can read while I'm cooking, hands-free! I can knit while I'm reading! I can read in the dark and not hear my husband complain about having a light on. I am getting so much more reading done than I was with paper books. Busy mom with a busy lifestyle. This really works well for me. Hi Susan .. interesting statistics .. 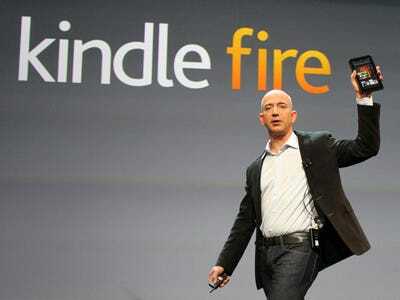 I'm sure I'll get a Kindle and then see all the advantages .. sometime! For now I'm sticking with books ..
You've certainly set out the advantages etc .. especially with all the advantages that appear so quickly in this techie age, and some I didn't know about .. I'm one of the converted. One day it occurred to me how much cheaper it is to buy ebooks where I am, rather than the more expensive paperback. I must admit, I'm stuck on the old image of an author at a table in a bookstore signing a stack of copies of their latest novel. Although my book is being published by an e-book publisher, so go figure.